You must be a member of the London India Group to attend this activity. Would you like to join this group? 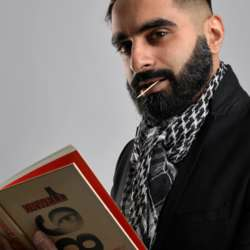 Fresh from his hit nationwide tour, Tez Ilyas is back with a brand new show. Expect a silly, smart and subversive ride from this breakout star. As seen on: Man Like Mobeen, Mock the Week and The Last Leg. As heard on: TEZ Talks and The Now Show (BBC Radio 4). NB ! Please note that we cannot offer refunds or exchanges, and latecomers may not be admitted.